The settlement in the U.S. of the emissions scandal surrounding Volkswagen apparently won’t affect the lawsuit filed against the company by the state of Oklahoma. VW reached a settlement with 44 other states and federal agencies but not with Oklahoma. Gattenby indicated the Attorney General is still pursuing the State’s lawsuit against the automaker for false and deceptive advertising under Oklahoma law. Gattenby said the attorney general believes that by pressing forward with the lawsuit, it will make sure VW is in compliance with Oklahoma law and the several thousand Oklahoma consumers directly impacted by the deceptive advertising claims will be fully compensated. The settlement with VW by other states and the federal government means VW could pay as much as $15.3 billion for cheating on U.S. diesel emissions tests for several years. It also agreed to buy back vehicles from consumers as well as provide funding that could benefit makers of cleaner technologies. The settlement covers 475,000 2.0-liter diesel Jetta, Beetle, Audi A3, Golf and Passat vehicles from the 2009-2015 model years. 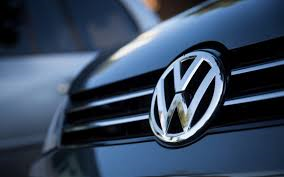 VW made separate settlements with 44 states, the District of Columbia and Puerto Rico costing at least $600 million.